Not so far ago Kanye West decided not to take part in a huge US music festival. The festival refused to provide the musician with a dome that could house his performance. The reason they denied him the dome – too little time to set up a dome of that size. …Well, now is a perfect time to explain one of the advantages which Fulldome.pro can provide – quick and easy installation and setup. 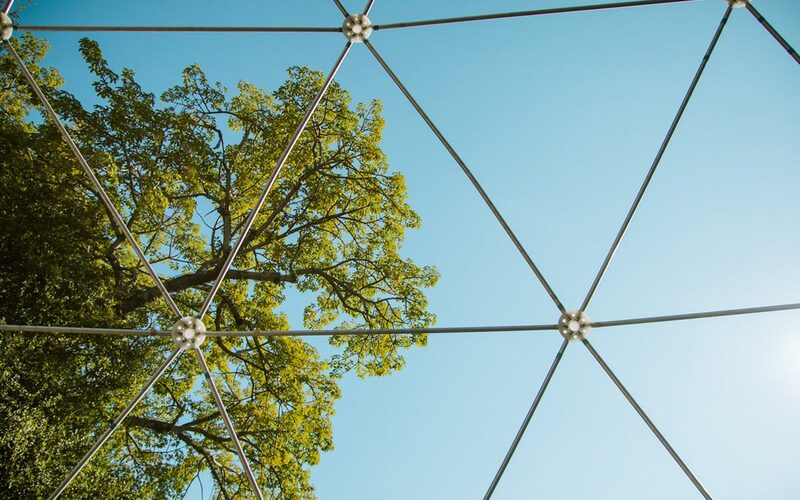 How to build a giant dome in 6 days? 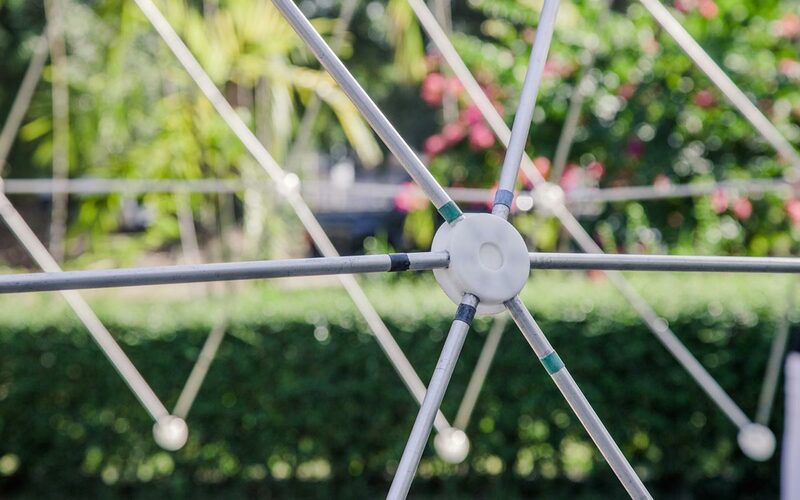 Geodesic dome construction consists of two main things: tubes and connectors. Big domes are used outside very often (because of their height), it has to be stable and wind-resistant. Dome companies use heavy materials to survive the outdoors. But because of the general weight of tubes, the process of transportation and installation become difficult and long-lasting. We use aircraft-grade aluminum which makes the frame very lightweight but extremely strong and durable. The most common version connectors for big domes is the “one bolt”. It means, that an installation team has to assemble tubes and bolts and after – assemble all details together. Because of the laboriousness of the installation process and the weight of the construction, it might take up to 1 month and a big team to build up the dome. Due to our technology, it takes only 6 days, 6-8 people and 1 crane to build and setup 35M (115ft) dome. Fast auto-calibration is extremely important when the dome is being used in live events and festivals and you are limited with time. When replacing or adjusting a projector it only takes one click to recalibrate.